How is this foundationally different from Wheeler's "delayed choice" experiments? Which, all in all, tell us little more than the double-lsit experiment does. Roger concludes: " I think Bohr and Heisenberg would say that it doesn't make any sense to talk about the path of the photon (such as going thru slit A or B, or going from A to B or B to A) unless you are actually measuring it." This is the same statement that resolves the "which path taken?" of Wheeler's experiments. Unless one measures the photon, one cannot assign it a definitive path. So what is new in the Nature article? Anyone? Please do share! In its simplest case, it is described as a spherically-symmetric expansion of probability and nonlocality. Relativity tells us that the photon does not age. It experiences no time. According to the photon, the time that it is emitted and the time that it is detected are one and the same. Thus, in any experiment conducted within a sphere defined by the expansion of a photon's spherically-symmetric wavefront, which has its origin at the creation of the particles in the experiment, the past, present, and future may appear to be arbitrary, as in the photon's frame, they all happen at the "same time." Some folks are not happy with speaking of the photon's frame, as they state that it is undefined. Such folks wish to say that the photon does not exist, rather than thinking about the physics of the photon. Such folks are welcome to consider the frame of particles moving at .9999999999999999999c or far faster, so as to draw the same conclusion that in such frames, all events happen at essentially the same time. 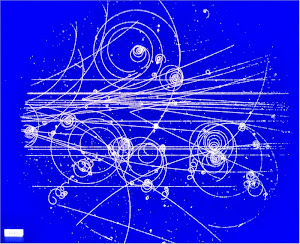 Dr. McGucken's Quantum Time/Causality Postulate: "Thus, in any experiment conducted within a sphere defined by the expansion of a photon's spherically-symmetric wavefront, which has its origin at the creation of the particles in the experiment, the past, present, and future may appear to be arbitrary, as after all, in the photon's frame, they all happen at the "same time."" Why can't you (straight-forwardly) use Schrodinger's equation for photons? 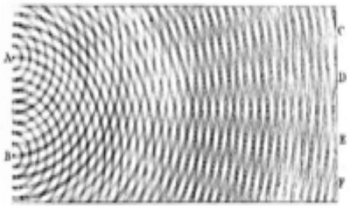 Why does the idea of a wavefunction of a photon itself does not make sense? Just because the photon number is not conserved? How? "According to the famous words of Albert Einstein, the effects of quantum entanglement appear as "spooky action at a distance". The recent experiment has gone one remarkable step further. "Within a naïve classical word view, quantum mechanics can even mimic an influence of future actions on past events", says Anton Zeilinger." Yes! "Within a naïve classical word view" = with an INCORRECT VIEW. Basically physics has become clickbait which relies on "incorrect views" about quantum mechanics to overhype the delayed-choice experiment over, and over, and over again. Here is an excellent 2014 paper debunking all forms of "retrocausality" and "Ambiguous causality" in quantum mechanics. There is a common fallacy, here called the separation fallacy, that is involved in the interpretation of quantum experiments involving a certain type of separation such as the: double-slit experiments, which-way interferometer experiments, polarization analyzer experiments, SternGerlach experiments, and quantum eraser experiments. It is the separation fallacy that leads not only to áawed textbook accounts of these experiments but to áawed inferences about retrocausality in the context of "delayed choice" versions of separation experiments." Long story short, Philip Ball and Nature mag do not make their money by clarifying concepts to the layman, but rather they obtain their income by generating clicks and using clickbait tactics to hype falsehoods and fool the laymen with intentional falsehoods. Likewise, the "researchers" secure their funding by hyping decades-old knowledge as something new, while denying and ignoring the correct, simple interpretation. "áawed" textbook accounts should read "flawed textbook accounts"
It is the separation fallacy that leads not only to flawed textbook accounts of these experiments but to flawed inferences about retrocausality in the context of "delayed choice" versions of separation experiments." Wheeler writes, "In the delayed-choice version of the split-beam experiment, for example, we have no right to say what the photon is doing in all its long course from point of entry to point of detection." Brukner should have written, "In our version of the split-beam experiment, for example, we have no right to say what the photon is doing in all its long course from point of entry to point of detection." But then how would he get funding? Philip Ball could have written, "In their version of the split-beam experiment, for example, we have no right to say what the photon is doing in all its long course from point of entry to point of detection." “Many-world” theories are much more difficult to discuss than theories of hidden variables. They postulate—as mentioned earlier—that if a measurement with a probabilistic outcome is undertaken, the world splits into several worlds, and each possible outcome of the observations appears in the fraction of the new worlds given by the quantum-mechanical probability of that outcome. . . It is, of course, difficult to see the meaning of the statement that there are other worlds with which we never will have any contact, which have no influence on us, and which we cannot influence or perceive in any way. . . the statement that there are such worlds, and that they are constantly created in large numbers, is entirely meaningless. It can neither be confirmed nor refuted." Max Tegmark et al. have built entire "clickbait" careers out of denying what Wheeler, Wigner, Bohr and other founders of the working theories originally said and meant. Yes, Elliot, you make excellent points. There are lots of these fancy quantum experiments, but the main strangeness is what was understood in the 1920s. And yes, Many-Worlds is silly for exactly the reasons that Wigner explains.